Zenobia July is starting a new life. She used to live in Arizona with her father; now she's in Maine with her aunts. She used to spend most of her time behind a computer screen, improving her impressive coding and hacking skills; now she's coming out of her shell and discovering a community of friends at Monarch Middle School. People used to tell her she was a boy; now she's able to live openly as the girl she always knew she was. When someone anonymously posts hateful memes on her school's website, Zenobia knows she's the one with the abilities to solve the mystery, all while wrestling with the challenges of a new school, a new family, and coming to grips with presenting her true gender for the first time. 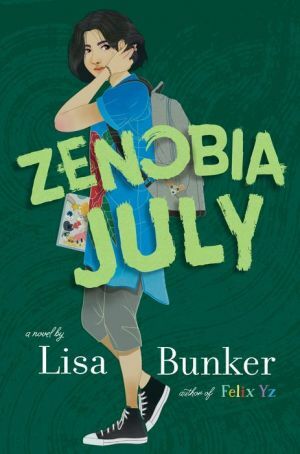 Timely and touching, Zenobia July is, at its heart, a story about finding home.